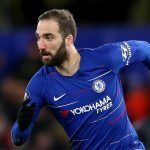 Gonzalo HIGUAIN, Erik LAMELA and Emiliano INSUA all scored for their clubs. Finally off the mark, Gonzalo HIGUAIN scores his first goal for his new club in AC Milan’s 1-1 draw against Cagliari. HIGUAIN rounded the goalkeeper and scores to draw Milan level. Lucas BIGLIA and Mateo MUSACCHIO both also started the match for Milan. While the door to the Argentina National Team should be closed for both HIGUAIN and BIGLIA (Lucas already retired following the loss to France), Mateo MUSACCHIO can still find his way into the team. Off to England, Erik LAMELA scored late goal for Tottenham as they lost 2-1 against Liverpool. LAMELA came on as a substitute as he began the match on the bench and was one of Tottenham’s better players. LAMELA smashes the ball from a difficult angle to beat the goalkeeper. From Serie A to the English Premier League to the Bundesliga, Emiliano INSUA scored for Stuttgart in their 3-3 draw against Freiburg. A shot from outside of the penalty area found its way through the players and into the net. While not included in the Argentina National Team, INSUA has found regular playing time with Stuttgart. Santiago ASCACIBAR, who was part of the recent Argentina team, started the match along with Nicolas GONZALEZ. Inter would have been perfect for him but since it too late to talk about his transfer. He should focus on fighting for his selection in the starting XI. He is much more talented, hardworking and gifted compared to his Spur’s teammates. He just needs to stay fit , the goals & assists will come !! Already last year Pochettino preferred Son to Lamela, this year with Lucas, the situation will just be more complicated. Lamela’s playing style is closed to Rivaldo, same as the Brazilian, he need to have the total freedom with the team playing for him. That will never happen at spurs and may not even be a profile that Pochettino is looking for. A big name ex Inter and Juve in Serie A or smaller cap of Liga will be so much better for him. Answer is maybe the same as always: he need to left the club and go to other. Maybe smaller. I thought lamela was injured last season so he lost his place. IMO ATM only RB Montiel, CB Martinez Quarta and Nacho Fernandez (he still keeps old good level) are somwhere around NT level. Pratto too but he is too old to invest in him. Or Scaloni is looking for new options to U-20 team. Especially Cristian Ferreira. Ignazio Fernandez physicality imo will never be suited with top level football. Why? what’s wrong with his physicality? I’ve already mentionet MacAllister few times here. The last just 2 days ago. Seeing his maturity and physical appearance it’s hard to believ he is still just 19. If he was born few days later he could have play now for our U-20 team. In this age he is real leader of Argentinos. One of best players of league so far in this season. While Fabrizio Angileri keeps going his excellent performances. Good job and assist last night. Renzo Saravia with very solid game too. Gonzalo I’ve responded to your comment in the previous thread and I have to say that MacAllister is one that should be seriously monitored. Angeleri, as you said, has been consistently in top form since last season and he doesn’t seem to be slowing down, he deserves a call up for the NT. His fullback partner Abecasis also continues to perform and despite being 28yr I still think he could offer something to the NT. BTW Gonzalo what did you think of Almendra? He had a really good match against Argentinos, a really tough tackling no.5 but he’s gonna have alot of competition in that position with the likes of Ascacibar, Battaglia, Caseres and Dominguez all vying for a spot. Velez finally won 1:0 over San Martin de Tucuman. Robertone is back to good form. He scored the winner. Dominguez keeps his level. Vargas better. Good to see Alvara Barreal making his second one in Superliga. Jose Luis Gomez is back after looong injury. Yeah as you and I said before Robertone needs to be at CM attacking from the deep and Dominguez continues to impress and honestly should be called up for the Brazil friendly. Velez still need a good CF and maybe someone to replace Bouzat because it’s upfront where their weakness lies. 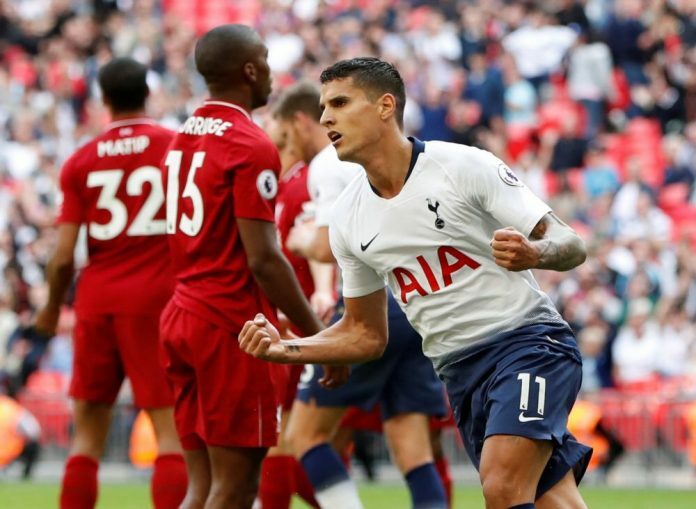 Lamela way over Cervi, Salvio, Pereyra or other paper dogs, the guy can contribute and means the difference against great sides, not just against small portugease dwarfs, sadly injuries ruined his career, but still more useful for us than Gonzalo Martinez and co.
Spot on. He is gifted and has improved alot but the fitness issue still remains. You are comparing different types of players even though some of them play more and less in the similar position, but totally different style. scan all opinions on Mundo after the 2 friendlies and even your biggest hates will not distort reality. If he will keep the form LM is not question now in NT, the more he was one of the players who on tranings surprised most positively Scaloni and most likely he will keep with him as for now. Cervi was also good. Maybe not much but it’s just his beginnings. Cervi, Salvio, Pereyra – “paper dogs”? to be honest Lamela had more NT games as far than the players above and he never impressed much so your opinion Lamela “still more useful” has not any support in reality apart wishfull thinking of someone hostile to Martinez, Cervi, Salvio, Pereyra. this is your and KidultHood typical argumentation that makes you fool so many times. I heard that from you so many times this or that player is not enough good because he play for small club. If I really need to name the players who are usefull for us playing small clubs? Just few: What about Battaglia? He also play in Portugal. Lanzini – another object of your hates beacues only West Ham player. Maybe Lucho Gonzalez never should have been called up as Porto player, Di Maria from Benfica and so on. Pezzella and Simeone from Fiorentina, Ascacibar from Stuttgart, Paredes from Zenit or Lo Celso from Betis. And the words are not against Lamela but against wrong, limited NT selection . Right players we may find all over the world: in Mexico, Argentina, Europe, Russia, China. Right players doesn’t mean most famous, popular, biggest clubs or so. Fortunately Scaloni seems to be aware of that and we have already signs there’s something positive in this wide horizon selection instead going again and again for famous threadbare players of big clubs. Besides you’ve contradicted yourselve naming Pereyra “under dog”. Actually in Premier League he play against the same opponents as Lamela. You saw also the limits of many other players that never had played for big clubs and were usefull for us. Just don’t try reduce all that to Meza. MEza was just one of many players I was talking about. Finally you never can’t predict how will do a player in NT but what I’m saying still is and you want to deny that: yes, we have young potentiall. We have it in local league and Europe as well. Most of the players tested by Scaloni proved I’m right. Besides only ignorant may try to deny Argentina have big sources of talent. If you want to do that you already lost. There’s no base to say Lamela will be better than this or that current player of NT. No one know. I think NT right wing question is still open with last performances of Pavon, Dybala, Meza with Lanzini injury. Lamela deserves call up but IMO players like Pussetto, Pereyra, De Paul, Rigoni are also interesting options. Nothing is certain here. Pavon and DYbala also deserves more chances. Still I would like to see for trial playing all together Battaglia, Paredes, Lo Celso, Pity, Palacios and the only possible configuration of the names for me is with Lo Celso on the right wing, who play then like Messi cutting into middle. He attacked from the right side few times in last frendlies. Why would I drop Pity after two good games on left wing just to give the place to Pavon who didn’t impressed? Pavon main advantage is speed but Pity is also fast + better ball control than Pavon. Pavon should fight about the right wing with other players. 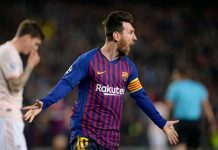 Lo Celso over Dybala – yes. My idea was to cram somehow all the midfielder that impressed us in last friendlies. Lo Celso, Pity, Paredes, Palacios, Battaglia. And perhaps the only formation it’s possible is with Lo Celso on the right wing. Whenever I see him playing there he seems to be good, so why not to try. A 4-1-4-1 system with Correa and pity helping out the fullbacks against the likes of Neymar, Costa or Coutino while Pardedes and Celso would provide creativity and goal threat (paredes in particular is a beast with outside the box shots) upfront. Against a team like Brazil having both dybala and Icardi is a luxury and I think one of the 2 would do and as the much progresses and opens up maybe a switch from a 4-1-4-1 to a 4-4-2 with both dybala and Icardi upfront. Cervi, pereyra and Lamela might all play in attacking positions but they’re very different type players. Pereyra is best when playing centrally in a midfield setting like he did for Juve, Cervi’s strength is playing on the left side while Lamela prefers to play centrally (like his River days) or on the right like he did in Roma or what he’s doing now at Tottenham i.e. All these 3 could play together in a team and not get in eachother’s way. 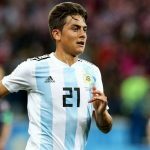 As for Gonzalo pity, well he was one of the best players in the last 2 friendlies so I think he has earned some faith from Scaloni and the fans or atleast a start against Brazil and several more caps before we dismiss the guy, he may turn out to be just another Meza or he may just turn out to be a lanzini level talent (i think he is) who should not be dismissed just because he plays in a lower league. Remember, Lanzini was playing in the mideast and no one thought he could survive in the EPL let alone thrive. AC milan after a very long time has a good world-class forward. Higuain’s time in the national team is over but he is still a quality striker and can drag Milan into the top 4. Lamela’s stats would have been awesone last season if his teammates were not selfish. Especially that koren guy Sun!! If he can keep his fitness this season , He will be Spur’s top 3 player. He has become a complete midfielder under Pochettino. He can score, assist, press and track back and defend. Don’t get your point. There is nothing to see with other players, I didn’t many striker like Kane who is ready to drop deeper to give a hand, not many attacking midfielder like Son and Ericsson who defend so much. Its more Pochettino who prefers Alli, Son or Lucas to him. Don’t get me wrong I like Lamela’s talent but his football is just not compatible with EPL. What I meant was Lamela being in a better position to score wouldn’t get the pass from Son or others on multiple occasions last season. with out a doubt lamela deserves to be part of the squad but the only frustrating thing is he has his own physio as hes always getting injured. He needs to take his career seriously by hiring the right people. even a lazy like aguero overcame his fitness problems and is now flying high. Scaloni should call Lamela, he can operate as an Attacking midfielder and as a winger.